Even though I have a consistent skin care routine that like I have been having minor breakouts. I tend to always touch my face so I know that I am transferring dirt and oil to my skin. 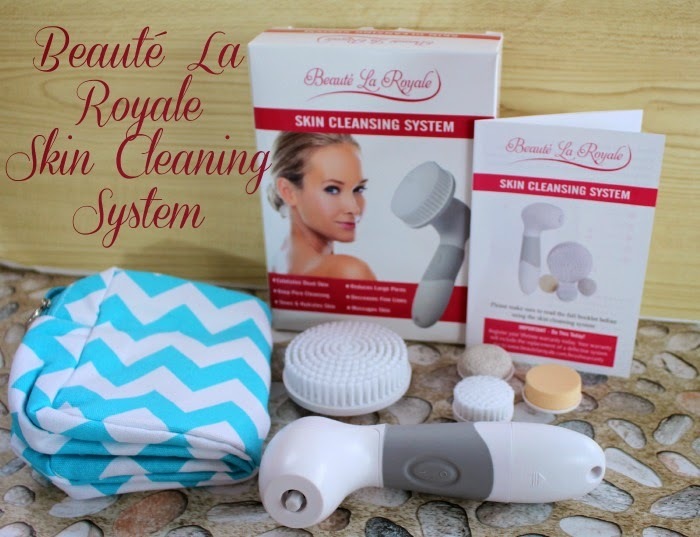 I wanted to do something more than just using my facial cleanser so I was so happy to get the chance to review the Beauty Royale Skin Cleaning System. The beauty royale skin cleaning system comes with everything you need to take care of your skin. You get the small facial brush that is perfect to give your facial skin a super deep clean. The body brush for bigger areas of your skin like your shoulders and back. The facial sponge that can be used to perfectly apply moisturizer. The pumice stone that is perfect for feet and elbows. 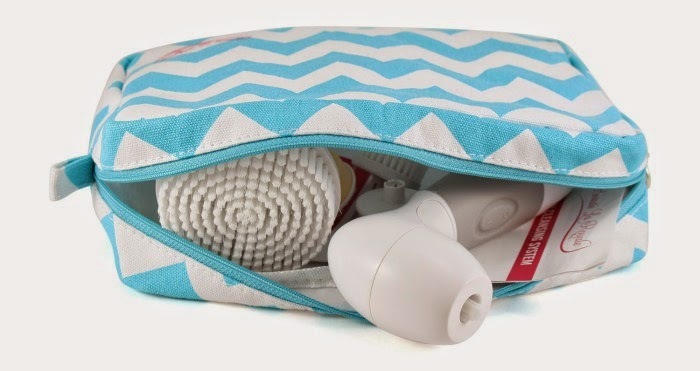 You also get a cute chevron storage bag to put everything in. The rotating machine is waterproof so you can use it in the shower. It is super powerful yet super gentle on your skin. When I saw the is used 4 AA batteries I thought it would be too powerful on the face but it actually feels really nice. It is super simple to take out and put back the different brush heads. It only has an on and off switch so it's easy to use right away. I have been using this system for over two weeks now and really see a difference in how clean my face is and how soft. Not only is it deep cleaning your skin but it is also exfoliating. The extra exfoliation is making my skin super soft. Please check on my video review on the system below. Click on the link to check out more information on the Beauty Royale Skin Cleaning System and purchase one on Amazon.